In the previous article I explained in detail, which questions you should ask to figure out how a customer makes the decision to buy. That article can be found here Closing Techniques Part 1. While training sales people over the years, I’ve been amazed that most never ask customers about needs. Most jump in and explain what they personally like about the product. In talking with your customer, you must get them to list their need’s and then prioritize them. You then feed back those main need’s using their chosen strategy for making buying decisions. Start off by asking the client to list those needs that the product or service needs to fill. You then must identify those needs that are crucial versus the needs that would just be nice to have. After you nail down the immediate needs ask the client, “What else do you need this (product / service) to do?” Then as they list features, it is your job to translate them into benefits. You want to get your customer to imagine themselves owning the product. Start asking them what other benefits can they see this product providing. Don’t suggest benefits, instead have them explain their personal benefits. 4.) Say, “So your looking for a (product/service) that will (benefit)?” Wait for affirmation and rinse and repeat. 5.) Don’t disagree in any way! Don’t say something like, “Well we can get you this, this and this, but we can’t get that it this price.” If they stated that price is of least importance, that is a possibility though. 6.) 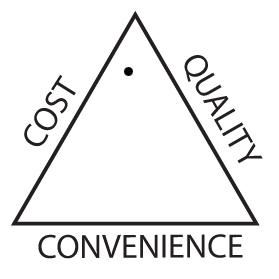 Show them the triangle chart to narrow in on what is most important: cost, quality, convenience? 7.) If you get any push back from the customer, re-establish rapport and question for more benefits. If you don’t know what rapport is go read Get People to Like you. 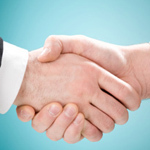 Throughout your presentation you want to first mirror the client and then check if rapport is established. You perform this check by changing your position to see if the client follows you. If they do you are in sync. If they follow you as you are presenting, they are ready to buy! If time has passed between first meeting a client and now representing the solution you need to re-establish rapport of course. Never offer a plan unless you are certain that rapport has been established. Rapport establishes trust and with out trust it doesn’t matter how good your plan is. I’ve established that most customer’s say no when they don’t trust you personally. This occurs if you don’t establish rapport or you hesitate during your presentation. Joe Girard, The Greatest Salesman ever, states that most I need to think about it objection’s occur because the sales man hesitated instead of assuming the sale. Think about that? If you don’t believe in your product, why are you presenting it to the customer? 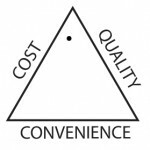 It is your job to find the benefit’s, match them with the perfect solution and then sell the perfect solution. Why would you ever hesitate when you find what is best for the customer? What other reason’s would the client hesitate? Some people are not in a hurry by nature. So give them a reason to make a decision, but be honest. One way to do that is to introduce uncertainty. May your products price will go up? Maybe the product won’t be available when the client needs it? People do not like losing the ability (freedom) to do anything. So figure out how they will lose the ability to buy your scarce product and then they’ll buy. I present many ways you can speed up decision making in the article Sales and Psychology. You should make sure everyone involved in making the final decision is available at the time of the presentation. Never provide the plan until you are certain of this. If you have any questions leave them in the comment section below. In the next article I’ll provide more ways to sell your plan.